I’ve been out of the loop for a while, but this is the latest full Syria map of the current revolution. Some info about it. There appear to be big advances for the Opposition forces around Homs. This is not true. Assad is making progress here, and has taken Qusayr and Dabaa. However, new information I’ve seen showed the opposition held more of the country to start with. Additionally it looks like Assad recently took over Quneitra and contested Bosra al Sham. This is again old info I didn’t have unfortunately, although Quneitra has flipped back and forth a couple of times. Assad has also made progress in some areas of Damascus and Homs city, although this doesn’t really show up on the map. Just contested as usual. The opposition has meanwhile made progress in Daraa, taking Inkhil, and Jasem, along with parts of Daraa city. They have also made progress in Idlib, taking over two of the 4 Idlib city surrounding bases, and have taken the Rashidin district of Aleppo cityt, partly encircling Assad’s military academy in Hamadaniyah. All in all, it is looking more like a Stalemate at this point than steady assad progress as touted by the media, but feel free to make your own decisions on the subject. What does this show? Aside from shelling, which appears to be more or less omnipresent across the south, there are now two clear fronts. 2) There is a shrinking safe zone around Daraa, which is now essentially surrounded. Daraa’s many protective bases are now starting to fall as the Syrian army loses control of the city. 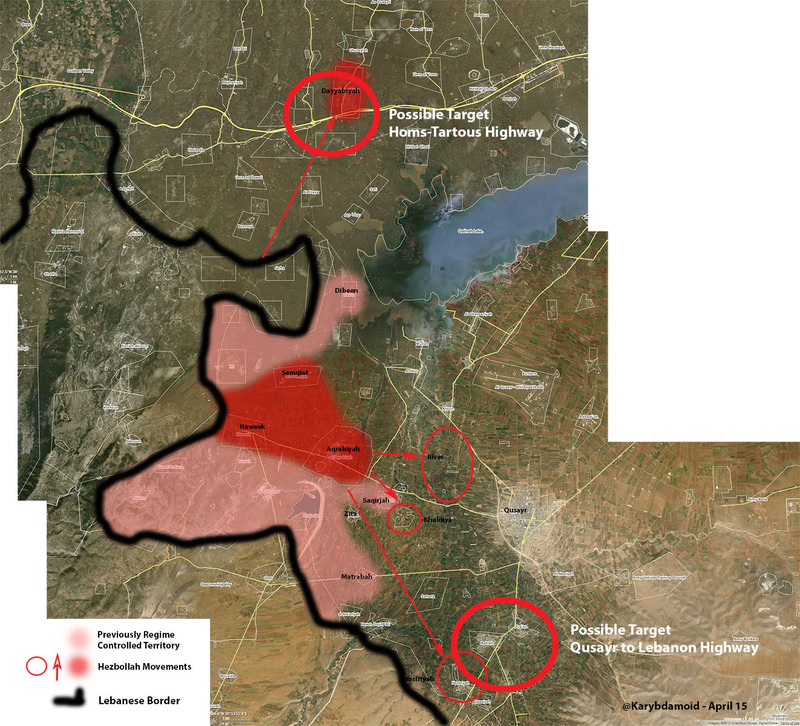 Predictions: The window of space around Daraa will close, and fairly quickly. The nothward movement will be more slow though. I expect the opposition forces to try to eliminate remaining bases in the south before a full northward push happens.